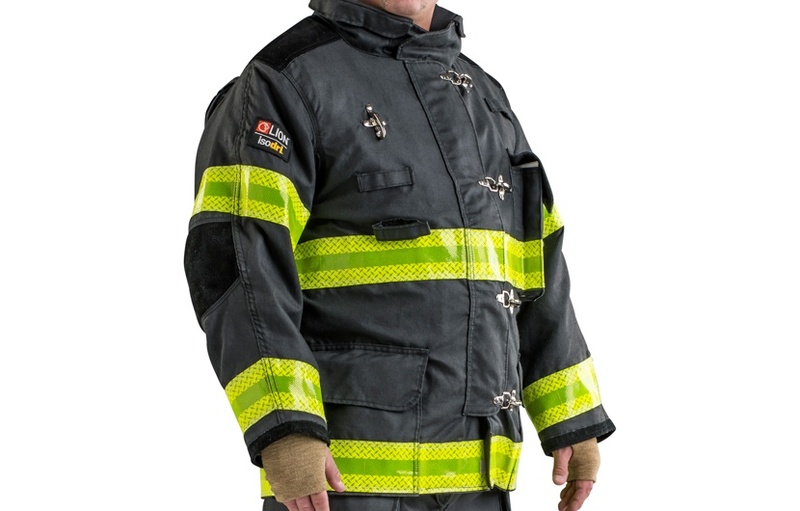 LION's Super-Deluxe firefighter turnout gear was designed for real-life situations with Freedom Design. Built to reduce body stress while delivering exceptional mobility and comfort. Designed for free, natural movement. Available with custom sizing and material combinations. Reinforced kick shields, cuffs, shoulders, elbows and knees. 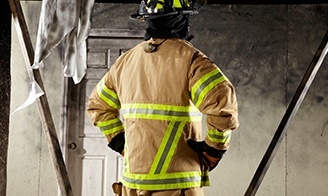 Made to absorb less water and provide protection against compression burns. Bellowed underarm construction for better movement. Storm Flap Closure with Hook and Loop, and Thermoplastic Zipper Coat Closure. Includes overlapping comfort collar and 8-inch over-the-hand wristlets. Freedom Elbow - Enables the arm to bend freely while keeping the wrist protected by reducing sleeve travel. 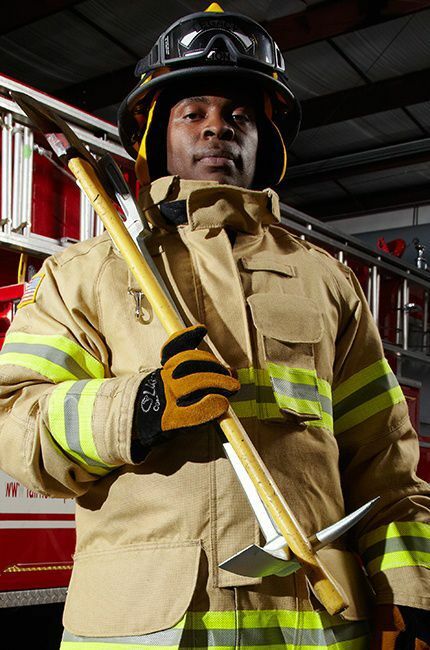 Ergonomic shaping to improve comfort and interface with other PPE elements. Bi-swing back with inverted pleats in all layers of the system expand as the arms move forward, resulting in no tugging or binding at the shoulder. 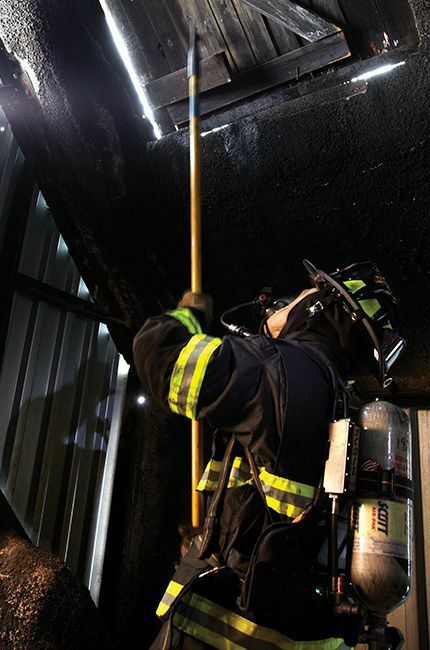 Comfort collar and optional throat tab deliver continuous thermal and moisture protection while providing exceptional interface to SCBA mask. 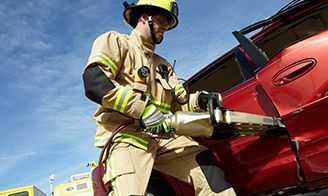 Ever-Dry Reach System - The thermal liner and moisture barrier travel with your wrist to minimize exposure to water, steam and flame. 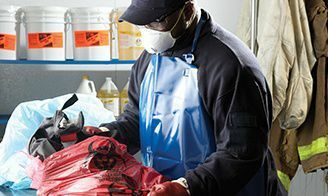 Zip-In Liner - Quick and easy removal and reinstallation for cleaning and inspection. Semper Dri™ - Reduces water absorption in coat cuff water wells and yoke. Low-rise pants complement the natural contours of the body for increased comfort. 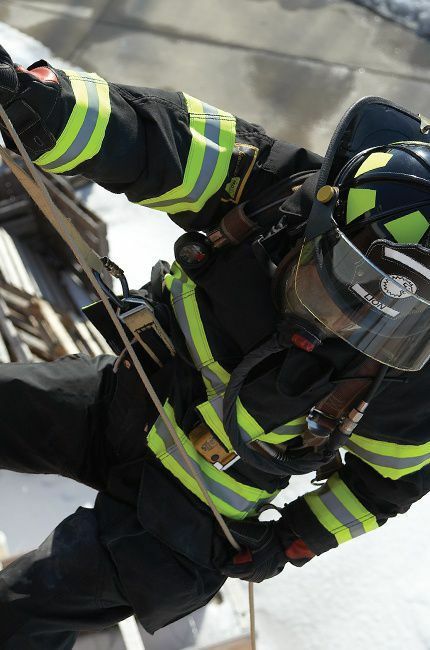 Radial inseam and banded crotch reduce tension and add comfort to turnout gear. Freedom Knee provides gusset that the knee can fall into when crawling, climbing, bending and kneeling. Knees with Lite-N-Dri™ Cushioning - Standard two layers of water-resistant cushioning provides additional thermal protection in a high compression area. Additional layers of Lite-N-Dri and silicone available. Semper Dri™ - Repels water in the bottom of the pant to keep workingweight low and help prevent wicking of undesirable liquids up the pant. 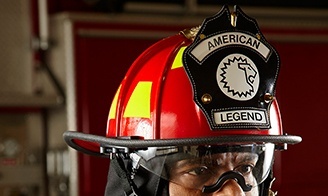 Kick Shield - Helps protect high-friction area on pant. Available in a wide range of custom sizes to fit your needs. 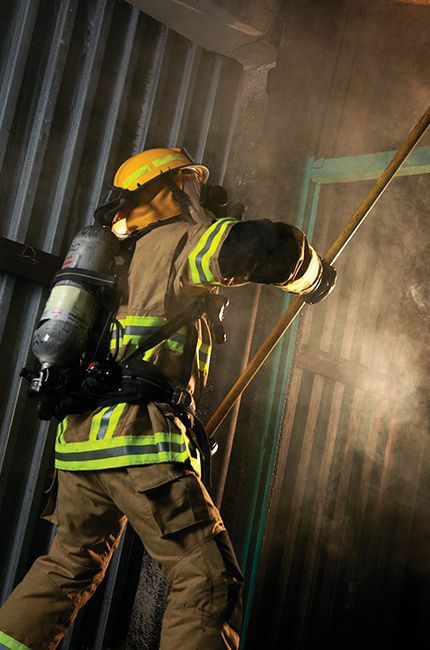 Absorbs less water to help reduce the risk of burns, while keeping gear drier and lighter. 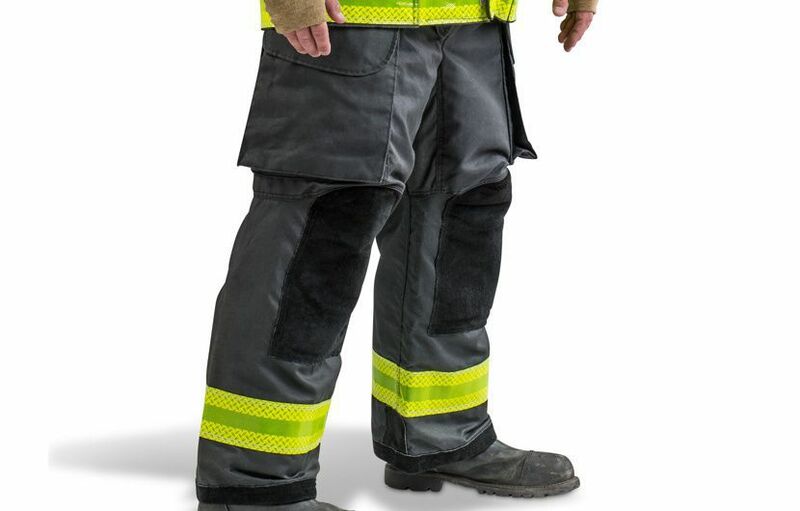 In wet conditions, LION IsoDri gear remains more breathable and comfortable, reducing fatigue and heat stress. It also dries faster between runs.